A memorial or reminder of the death of a loved one is worth a lot. When my brother died, I registered a star as a memorial to his death. The name of my brother is now linked to a star. He is with me forever and that thought comforts me. Just wanted to say my best regards to the OSR and its nice team! When my brother named a star through your website for my beloved wife on her death anniversary, I was very touched and lost for words. This special memorial gift will remain forever in the sky and in all our hearts. Thank you once again for this unique memorial gift. 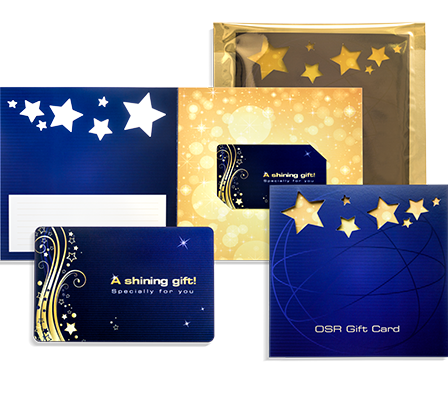 Name a star as a memento for a departed loved one. I did this recently and I would like to thank OSR for the prompt delivery and the suitably restrained composition of the gift pack. Thank you so much for the beautiful commemorative gift for my loved one. I wanted to keep his memory alive always in the hearts of those who loved him. OSR provided me a way to tell how much he means to me and will always do. Thank you once again. When my friend’s son’s soul departed to heaven, I wanted to convey my hand of support in the distressing times. 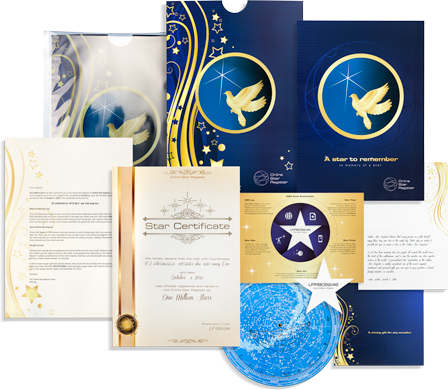 Your special commemoration gift makes a perfect gift for someone who is grieving the loss of a loved one. A very special memory. Wanted to find the perfect gift to memorialize my fiances parents who passed away before we met. When I revealed I chose Ursa Minor as the constellation where the North Star was she became overwhelmed with emotion and began to tear up right in front of me. I decied to name the Star after both her parents using their first names and she loved it. A tremendous gift with lasting impact for many years and generations to come. Thank you for this amazing idea and wonderful packaging and service. 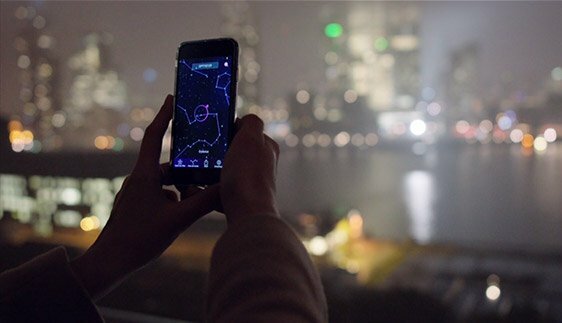 If you’re looking for a wonderful way to honor a loved one’s life, name a special star in the Online Star Register and let their memory shine in the night sky for generations to come. When a loved one passes away, it doesn’t mean that they are gone forever. Your loved one will always shine down on you from above with a specially named and dated star in the sky. 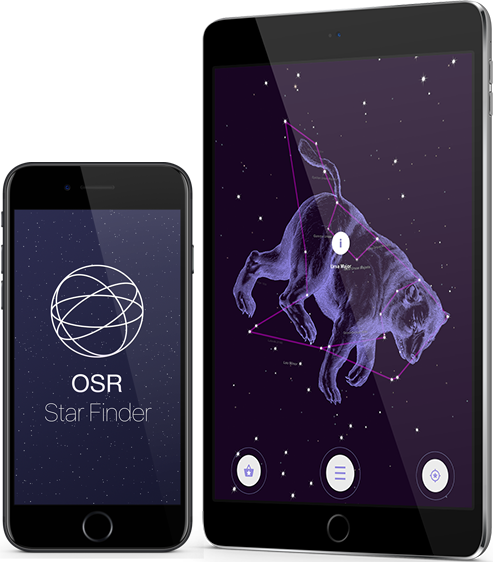 There are three unique and completely customizable gifts for you to choose from that all come with the ability to find your new star in the sky with the breathtaking One Million Stars project and with the OSR Star Finder App. 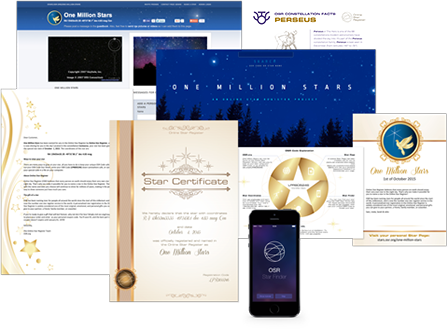 Your loved one will live on in the night sky forever because any new applications or programs we dream up to find your star in the night sky will be added to your original gift pack for free.